Hi Imogen-I really enjoy your blog & have learned a lot! My question-are ‘metallic’ accessories (handbag, shoes) considered to go with a certain season or can they be worn all year? I really appreciate your thoughts on this-thank you. 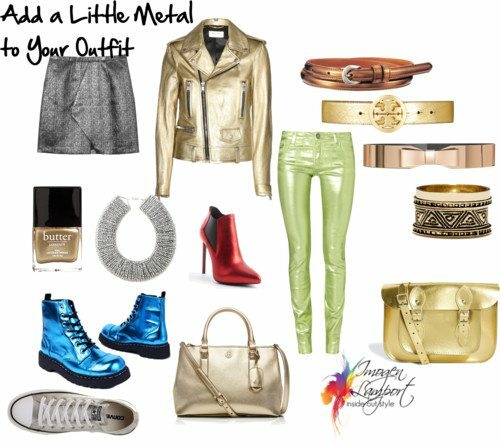 I love metallic accessories to add some interest and dress up an outfit. Anything with a reflective surface gives a more dressy appearance than a matte finish. You can choose from light and shiny metallics – which are more summery or for evening wear, to darker and more brushed metallics which are great in winter. Metallics are most easily worn in the evening, a clutch or shoe in a metallic fabric is the perfect way to take your outfit from day to night. A more matte metallic is easier to wear as an all year round handbag or shoe. 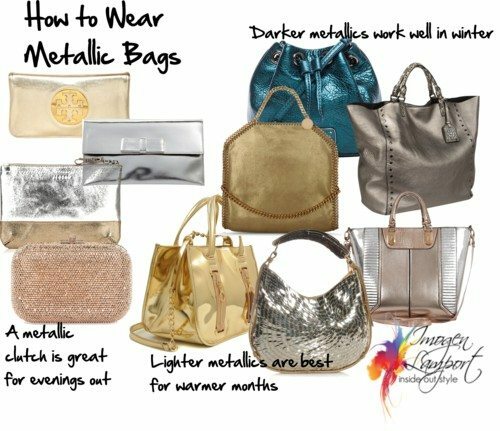 Metallics can be used all year round in accessories (and in clothing, there are more and more of them in the stores at present). Just pick your colours wisely to make them versatile and modern. Adding a little shine to your outfit with a metallic accessory works really well if you have natural shine or sheen. 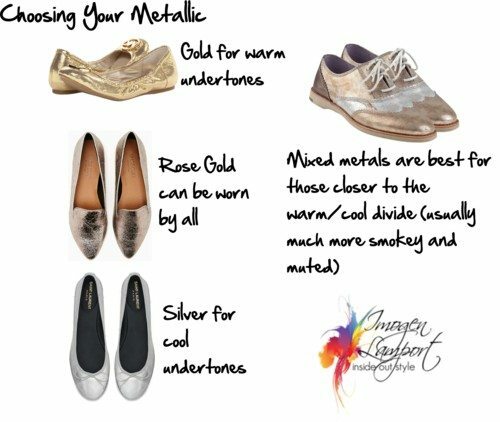 Generally keep your metallics to your best colour range – gold or copper if you are warm, silver or pewter if you are cool. Rose gold can be worn by both warm and cool people. I love metallics as they are the perfect neutral accessory for someone who doesn’t like accessories! A bit of subtle bling in a bag or shoe (even flats) can lift an outfit. 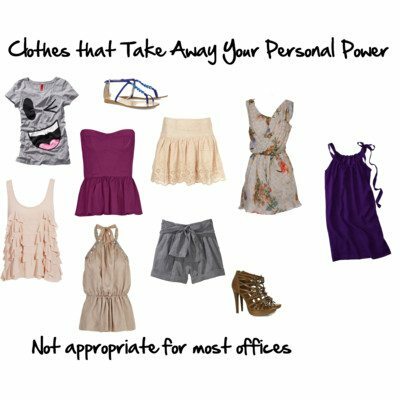 We need to wear shoes and most of us need to carry our stuff around, so why not be a little stylish? My favourite metallics are pewter sandals, grainy textured dull silver tote and I really have found many uses for a silver sneaker. Lauren Hutton looked fab wearing a white shirt, white slim pants and silver sneakers. So easy. So chic. No wonder I always drawn to mixed metals, because I love wearing both gold and silver, but not together but thats happening with neutrals and colors as well, for example black with peach and gold or grey and yellow! Also, now that Im wearing more mixed metal accessories I find the grey + yellow combination looks more appealing (not so keen with wearing silver with yellow, gold with grey). But for some reason, Im struggling with coordinating mixed metals, because my personal style is leaning towards classic “matchy-matchy” (matching belt with bag or shoes or wearing one-tone jewelry) so Im struggling with how combine silver or gold accessories when wearing a mixed-metal piece. My dress watch is in silver and gold so I get a bit lost whether I should stick to wearing one metallic with it or wearing a combination of both like a silver ring on one hand and gold bracelet on the other. :S I read your post about mixing metals that it looks like best if one is worn in bigger amount then the other, but I always end up wearing restricted gold or silver in my outfit because Im sceptical about wearing both gold and silver at the same time. I guess it has to my personality, an habit that Im fairly matchy-matchy (but buckles on accessories, I dont bother whether they are silver or gold because I dont feel buying two black totes because of the hardware). Think of a 25 – 75% mix on jewellery that is next to each other – and then use the 75% colour for belt buckles etc. For those like me closer to the warm/cool divide- I have chosen a matt silver when selecting a ballet flat is this better than gold as ballet flats do not often come mixed ? I have rose gold heels but not commonly found – why can rose gold be worn by all? Edwina – as you are on the warm side of the divide I’d work with gold being the greater part and silver being the lesser. Rose gold has an element of cool (rose) and warm (gold). I’m wearing an emerald maxi dress to a wedding and I’m trying to figure out what color shoes would look best. I read your post on visual grouping; I’m a dark brunette with medium toned skin. I always thought of green as a cool color, therefore picking silver shoes, but gold seems like it would go best with my own tones. Which would you recommend? Greens can be warm or cool, there are both versions (emerald is normally cooler, though I have seen warmer versions of it too!). If gold goes better with your skin, I’d go with gold shoes! I just bought pewter metallic sandals to go with a navy lace dress for a night out (not wedding). What colour bag should I go for? I take it that it should not be metallic too. Thanks. Nicky.